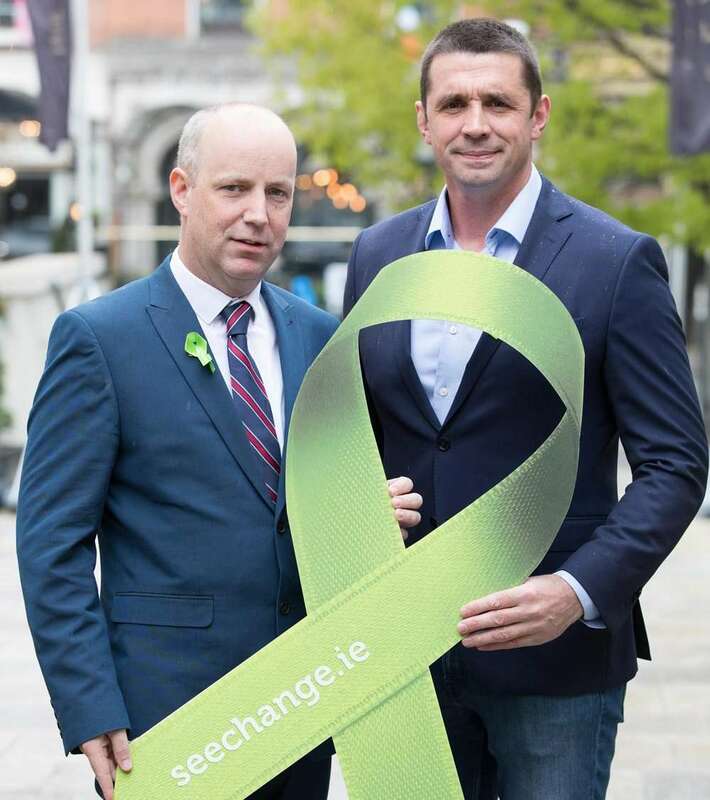 Today, Thursday, 3rd May 2018, See Change officially launched its 6th annual Green Ribbon campaign to End Mental Health Stigma. The campaign was launched by Minister for Mental Health and Older People Jim Daly and mental health advocate and sports broadcaster Alan Quinlan. Speakers included internationally renowned expert on mental health and stigma, Sir Graham Thornicroft and blogger and TV panellist Jen Ronan. The campaign is being organised by See Change, The National Stigma Reduction Partnership for Mental Health. 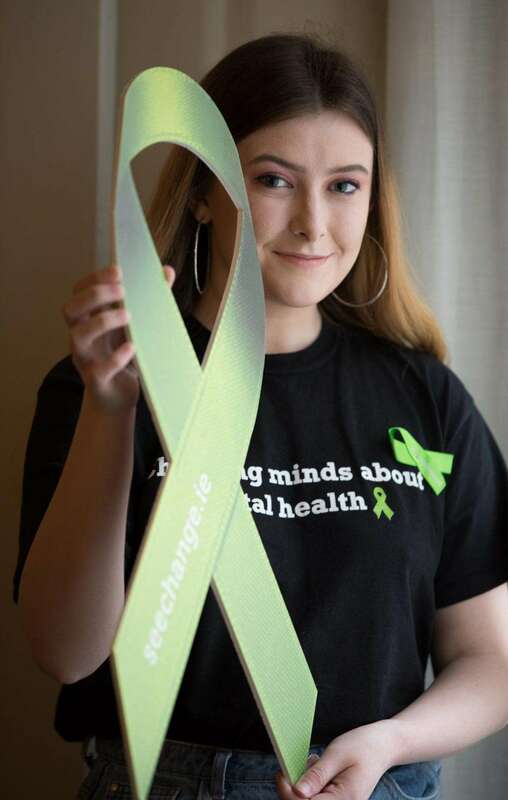 See Change ambassador, Blogger and TV panellist Jen Ronan said, “I’m delighted once again to be involved in the Green Ribbon Campaign as a See Change mental health ambassador. I’ve watched the movement go from strength to strength and see it help to reduce the stigma surrounding mental health issues in Ireland more and more each year. So many aspects of mental health are now part of the public discourse, and more people than ever are speaking out and finding extraordinary courage within themselves to share their own experiences and stories either in mainstream media or even just on their own social media platforms for friends to see”. John Meehan, Head of the HSE’s National Office of Suicide Prevention, who fund the Green Ribbon campaign, added, “Understanding, challenging and reducing the stigma associated with so many aspects of mental health, is a crucial strand of work associated with Connecting for Life, Ireland’s National Strategy to Reduce Suicide 2015-2020.